Just to prove you don’t need to be a designer airline to have a designer lounge, Plaza Premium Lounge (who we covered recently, with their launch of their new lounge in Hong Kong), the world’s leading Airport Lounge provider announced the launch of its Airport Premium Services at Kempegowda International Airport, Bengaluru (Bangalore). The independant company introduced two state-of-the-art pay-in lounges open to all travellers at both the International and Domestic Departures terminals of the airport. To access, you can be flying on any airline, and for an entrance fee starting from INR1000 ($16/£11) plus tax, guests can enjoy complimentary delectable food and beverage selection, comfortable seating, power showers to freshen up, business centre facilities and now the airport’s best spa and massage service for guests to relax and unwind. 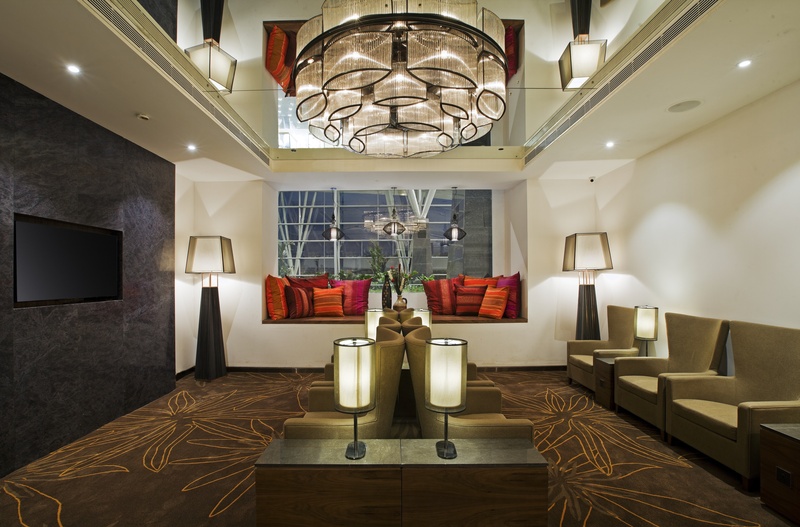 Comfort, innovation and interactivity are at the core of the Plaza Premium Lounge concept. Echoing Bengaluru’s lauded reputation as ‘The Garden City’, the new lounges, which are designed by celebrated Australian architect Mitchel Squires of Mitchel Squires & Associates, feature lush green unique garden design, delivering a flawless enhanced airport experience that is second to none. We love the simplicity of the lounge, clean lines and dark, intimate zones make for a well appointed and luxurious finish. 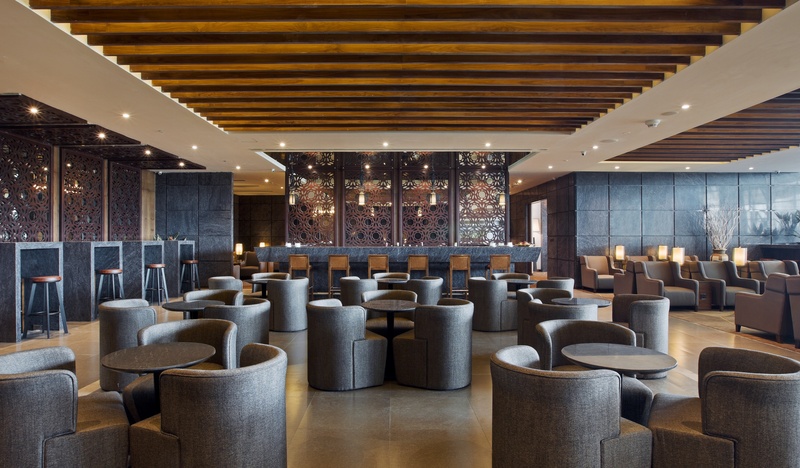 The carpets are typically lavish and luxurious for India, and the modern European furnishings make this feel like a Top Level London hotel lobby, rather than airport lounge. The food on offer also looks amazing. 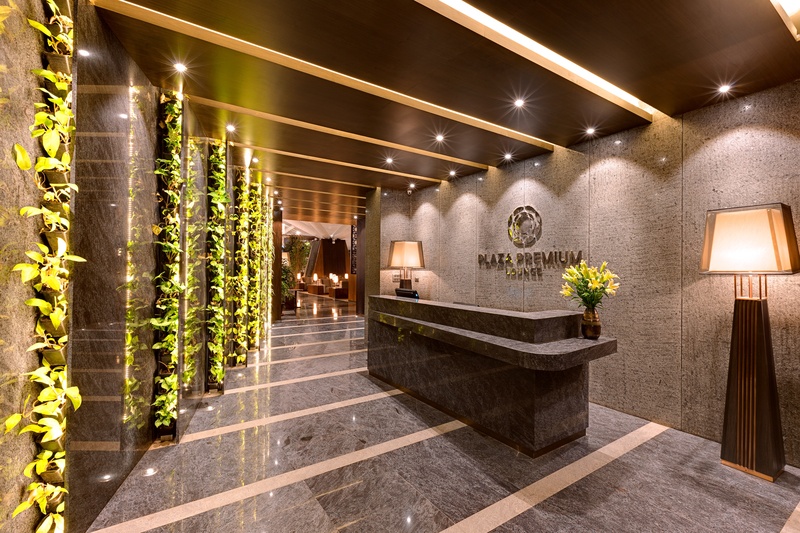 “As a leader in the Airport Premium Services, we are delighted to introduce Plaza Premium Lounge in Bengaluru and launch our lounges together with the newly upgraded terminals at Kempegowda International Airport in addition to our well-established network of New Dehli and Hyderabad. Our primary goal is to provide a five-star comfort and convenience for all international travellers with our services and facilities while at Airports,” said Mr Song Hoi See, Founder and CEO of Plaza Premium Lounge Management Limited. Being the first pay-in lounge in the world, the company contributed to the whole travel experience by offering everyone an effortless travel. With its grand expansion plans, the company hope to reach and touch the lives of every traveller in all parts of the world including the Plaza premium lounge opening in London this summer.